The Vivo Y69 is a little expensive but packs in a lot of promising features. Vivo has aptly recognized the need of the hour and launched smartphones for the selfie addicts. This one also comes with good cameras. It is good to know that they have not compromised on the RAM and other areas either. The Vivo Y69 might be a little overpriced for some but if you can buy it, the features won’t let you down. Cameras aren’t as good as Apple but they aren’t bad either. The Vivo Y69 is priced at INR 14,990. Inside the device, it has 3GB of RAM and 32GB of internal storage. In order to run the phone smoothly, this RAM size is good enough. It also comes with a Mediatek MT6750 processor. Although phones like Xolo Black and Redmi Note 4 have similar specifications for a cheaper price, this somehow feels better quality wise. Not to forget, it has quite good looks too. 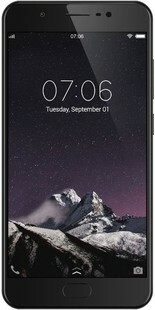 The Vivo Y69 is run by an Android v7.0 which is the latest. So, there are no complaints there either. Features wise, it has long screenshot, smart click, split screen and one hand mode. It comes with many pre-loaded applications which can be uninstalled. Coming to the USP: Cameras. On the rear there is a 13MP camera which comes with some flaws and some great features. It performs really well in daylight offering amazing colour and clarity. But in low light, there isn’t much sharpness. Video resolution is at a maximum of 1080p. It feels heavy on the pocket due to the fact that cheaper phones offer 4K recording while this one does not. As far as the selfie camera is concerned, the 16MP unit is outstanding for this price. Not only does it click sharp images in daylight, but performs well in low light too. So if you click a selfie in a club, it will still turn out to be uploadable on your social media. It has extra features like face beauty which removes imperfections for a flawless selfie. Apart from that, there is group selfie mode, live photo, and portrait bokeh. Even with a huge battery, the phone is only 7.7mm thick. It wears a metal outfit providing a luxurious feel. On the front it has a 2.5G glass. The 5.5-inch display is clear enough and provides a resolution of 1280x720P. Coming to the battery, the 3000mAh unit lasts for an entire day even if there is constant web browsing. The Vivo Y69 is a good device but it does have many competitors like the Redmi Note 4 and Gionee A1 that come with 4GB of RAM, double storage and a 4000mAh battery. It is a tough race out there. Vivo Y69 full specs and reviews as of Apr 2019. Buy it here!